VNRE – Bitexco Group says it will organize an international skyscraper race at its Bitexco Financial Tower – the tallest building in downtown HCMC – on October 30. The Bitexco Vertical Run will challenge runners to scale 1,020 steps from the tower’s ground floor lobby to the Saigon Skydeck on the 49th floor where they can see stunning views of the city’s skyline and the Saigon River. Runners will compete in groups of 10 to 15 people. Men, women and children aged 12 and above at all fitness levels are encouraged to enter. David Shin, representative of the organizers, describes the vertical race as a bit like scaling Mount Everest, not literally, but the fact that people like to climb because it is a challenge. Vertical running is a fast growing and relatively new activity for runners and sports enthusiasts seeking a unique and thrilling challenge. The first-known vertical races began in the 1970s and it has developed into an organized sport where races are held globally in some of the world’s tallest buildings. Organizers say the Bitexco race aims to attract hundreds of local and foreign participants. Registration is available from now with participation fees starting at US$12 per person. For more information, contact race organizers at http://www.vietnamrun.com or http://www.bitexco.com.vn. VNRE – The 5-star hotel called JW Marriott Hanoi was designed based on the idea of a romantic coast of Vietnam, inspired by images of “the legendary dragon,” a very significant symbol in the ancient cultural heritage, imbued with Vietnam identity. 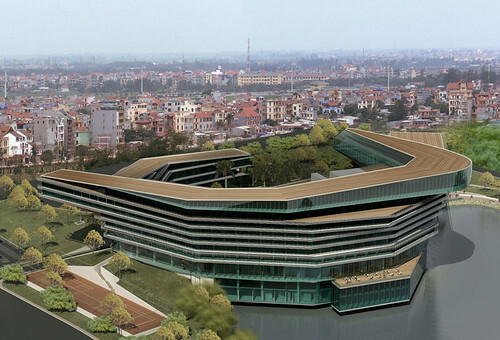 This will be the only hotel located adjacent to the National Conference Center, My Dinh, Hanoi. 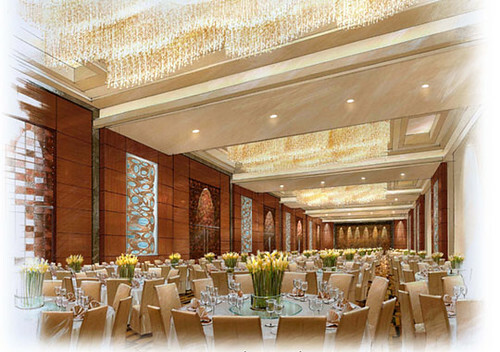 JW Marriott Hanoi is away 7.5 km form Hanoi center in west, and 22.5 km from the airport in south. According to the general planning of the city toward 2020, JW Marriott Hanoi will be surrounded by condominiums, villas, modern office buildings and parks in the future. The main entrance through the 2nd floor of inner courtyard is formed by two parallel slabs, connected by a bridge. Guest parking separates from the inner courtyard. VIP parking is designed in the yard, adjacent to a luxury shopping mall. Lobby will be equipped by a bar, a restaurant, souvenir shop, reception, shopping center, department of administration, small meeting rooms and a space reserved for relaxing with roof overlooking the lake. Besides, the hotel is arranged areas for cargo services as well as other services at the rear of the hotel. Entertainment center is equipped by the big and small restaurants, 5,000 m2 for the shopping area, large hall 1,000 m2, can be divided into four small rooms, a smaller hall with an area of 500 m2 can also be divided into four small rooms and some other smaller meeting rooms. 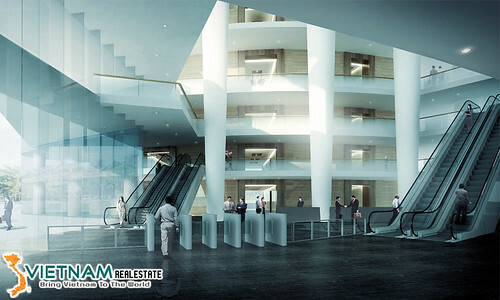 Level 2 is the area for lobby, restaurants and special dining room, office area… The rooms are divided from the 3rd floor to floor 8th. 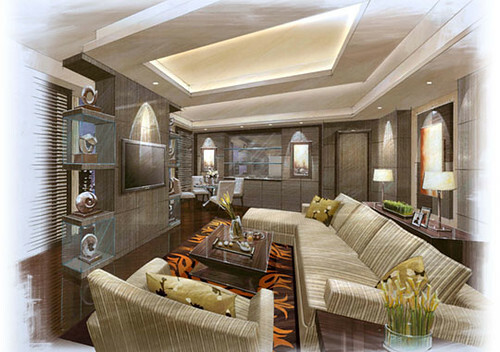 On the 7th floor, there are three luxurious rooms, a Vice President room and a President room. On the 9th floor is equipped with indoor swimming pool, gym and an outdoor spa. Construction materials are glass and wood that create a warm and luxurious and make hotel more prominent, harmonious with the natural landscape of the region. JW Marriott Hanoi was designed by the famous American architect Carlos Zapata and will be managed by the U.S. hotel group Marriott International Corporation – a leading hotel management in the world. Total investment capital of the project is $130 million and expected to be completed in 2012. 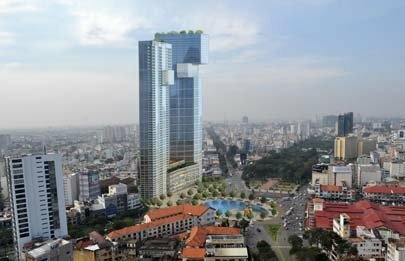 VNRE – Vietnamese property developer Bitexco Group is planning to develop two huge property projects in prime locations in HCMC this year after it finished construction of the iconic Bitexco Financial Tower (BFT) skyscraper in the downtown last October. Speaking at a year-end meeting with the press in the city on Wednesday, Bitexco general director Vu Quang Bao said the company would invest US$400 million in the Ben Thanh Towers project opposite the landmark Ben Thanh Market. The project covers 8,600 square meters and is surrounded by Calmette, Le Thi Hong Gam, Pho Duc Chinh and Pham Ngu Lao streets. 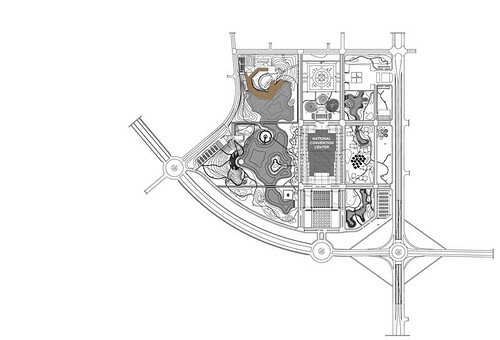 It will have two 55-story blocks comprising serviced apartments, office spaces, retail podium and five-star hotel. These high-rises are scheduled for completion by 2015. In the other project, Bao said, Bitexco will spend about US$300 million developing the 6.5-hectare Nguyen Cu Trinh Quadrilateral, also known as the Ma Lang area, into a compound consisting of office and apartment buildings, shopping center, international standard hospital, school and amusement area. The site is surrounded by Nguyen Cu Trinh, Tran Dinh Xu, Nguyen Trai and Cong Quynh streets in District 1. As for the Bitexco Financial Tower, the city’s tallest, the group is putting the final decoration touches on the lotus-shape skyscraper and the first tenants are beginning to move in, Bao said. Some US$270 million was invested in the 68-story structure on Hai Trieu, Ngo Duc Ke and Ho Tung Mau streets in the heart of the city. 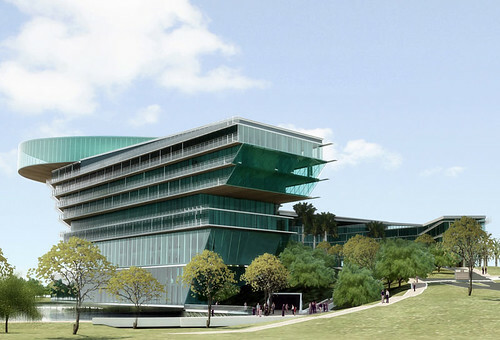 The building has about 30,000 square meters of Grade A office space and 8,000 square meters of retail space for local and international tenants. Besides offering a workplace for some 10,000 people, it serves as a tourist destination for travelers who want to take a panoramic view of the city from above. Talking about the building’s rent and occupancy, the company said that at the moment, it was in talks with tenants over around 40% of office space, and rents ranged from US$40 to US$70 per square meter for office space and from US$60 to US$120 per square meter for retail space. 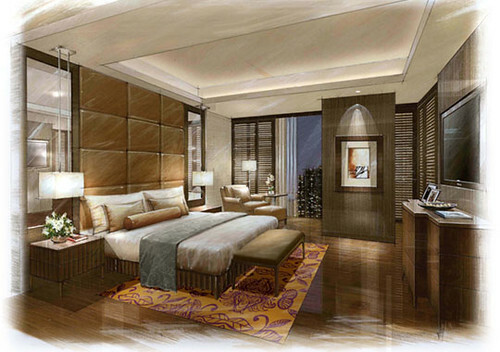 Apart from residential and office building projects, Bitexco is active in hotel development. The group is developing the five-star JW Marriott Hanoi Hotel nestled in the premises of the National Convention Center in My Dinh in the capital city. 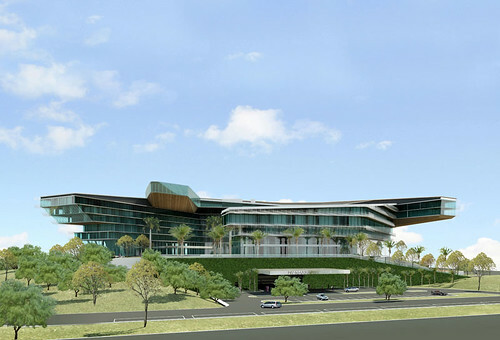 The group has injected US$126 million into the elite 460-room hotel and when in place by 2012, it will offer accommodation for leisure and business travelers. 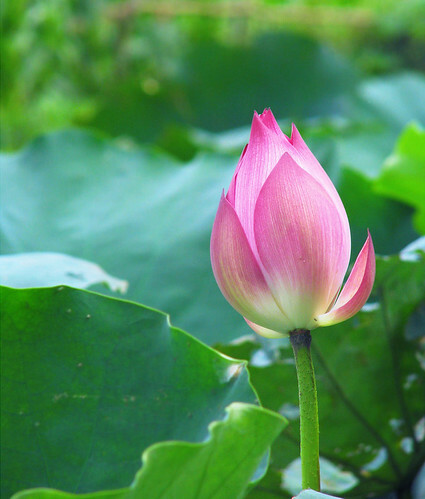 Established in 1985, Bitexco engages in diverse fields including property, road and hydropower plant development, and financial investment, among others. VNRE – Defining the skyline of Ho Chi Minh City, Bitexco Financial Tower stands at 68 stories tall, right at the heart of the city’s Central Business District. With its inspirational design and world-class presence, it is a true icon built to symbolize a nation’s aspirations and the limitless potential of a thriving cosmopolitan city. Inspired by Vietnam’s national flower – the lotus, Bitexco Financial Tower is designed to represent the energy and aspirations of its people. 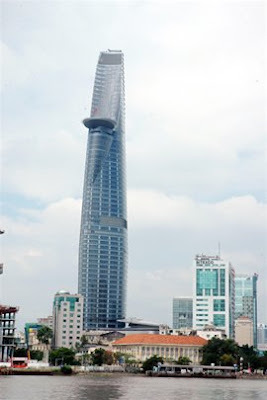 A true urban masterpiece that is more than a structure of glass and steel, it evokes beauty and progress as it rises above the culturally rich Ho Chi Minh City. An award-winning architect whose past achievements include a 22-storey Cooper Square Hotel in the heart of New York City as well as Chicago’s Soldier Field Stadium. Mr. Zapata is also the Design Architect for the J.W. 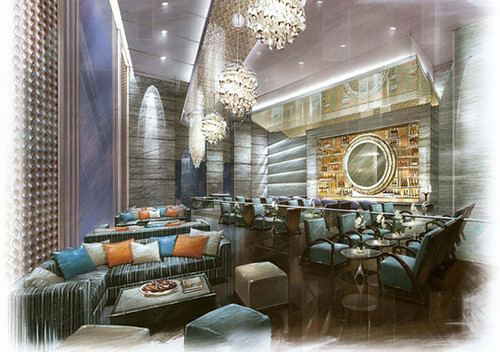 Marriott Hotel in Hanoi, another Bitexco project. 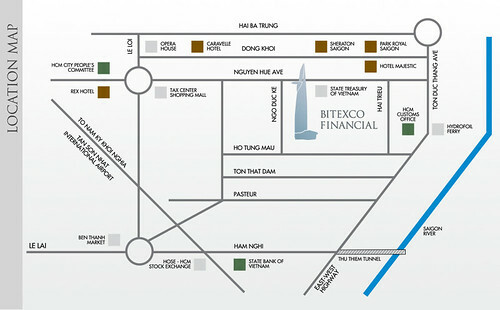 Located in the Central Business District of one of the world’s fastest growing economies, Bitexco Financial Tower stands at the heart of Ho Chi Minh’s Financial Centre. 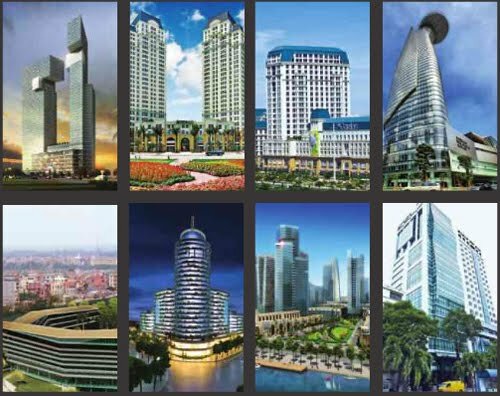 Situated at Nguyen Hue, it is strategically positioned to attract leading financial, banking, insurance and legal companies, both local and global. 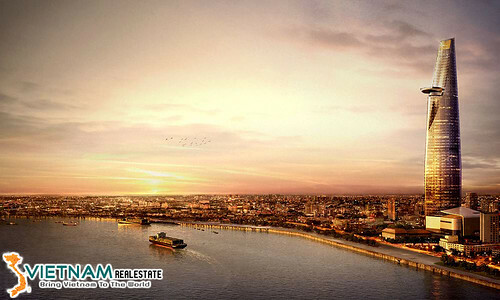 With its central location and accessibility from the rest of the city, it is well connected to the Saigon Bridge, Thu Thien Tunnel, Tan Thuan Bridge, and in close proximity to the Tan Son Nhat International Airport. 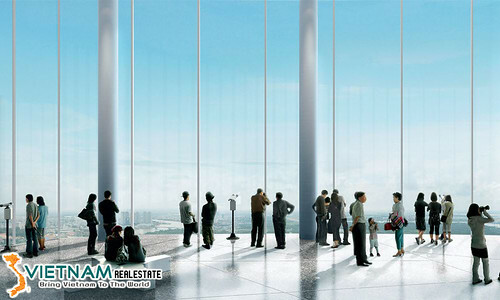 Observation deck: See the bigger picture from the high point of Ho Chi Minh City, Bitexco Financial Tower’s observatory deck. 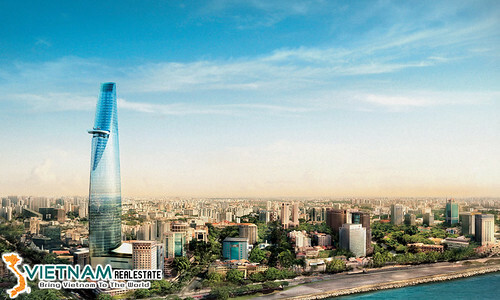 At Level 47, you will enjoy stunning 360° views of the cityscape and the Saigon River. Destined to be the highlight of any trip to Vietnam, visitors can experience a top-of-the world feeling and get a closer look at the spectacular sight by the binocular stands. Heli Pad: Beat the traffic and set off for work in style. 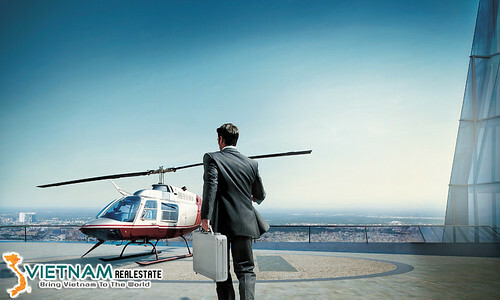 Arrive on the helipad at the 50th level, and be on time for your next important meeting in the adjoining executive club. Sometimes it’s not about getting from Point A to B but how you get there that matters. Executive lounge: An exclusive, members only club is a perfect retreat for a corporate function where you can entertain and impress your clients in privacy. Or indulge in an exquisite meal at a restaurant as you talk about the details of your next project. It brings new meaning to business lunches – a place that truly inspires a different conversation. It’s the details that make business a pleasure. · Grade A+ Offices: Complete shell units with acoustic fiber boards, high ceilings, air-conditioning and unique light diffusers for ambient lighting. · Double-decker elevators: The third in the world to have the innovative double-decker elevators with a personalised destination dispatch system, capable of reaching 7 metres per second. · Safety: Complying with American fire safety standards, NPFA – the most widely adopted fire safety standards for modern skyscrapers, the Tower is built with fire sprinklers, pressurised stairwells and an automatic fire evacuation programme. Expect to be wowed by a retail galleria with a difference. Step into a world of pleasures where you will be indulged by 6 stories of fine fashion and exquisite cuisine. An unprecedented shopping experience meets world-class dining here with a mélange of select boutiques, lifetsyle retailers, a chic bistro, wine bar and a food emporium that is a pure melting pot of tastes and cultures from around the world. To realise this vision, Bitexco has assigned Korean firm, Hyundai E&C, who is currently constructing the world’s second tallest building, Incheon 151 Tower in Korea, to be its main contractor. 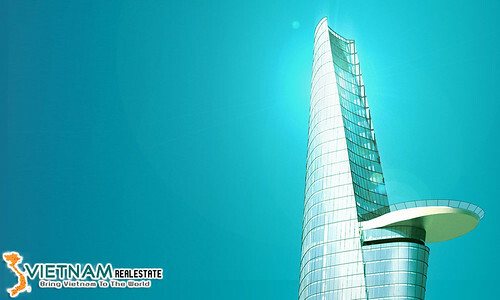 Their experience in constructing skyscrapers is unparalleled, and has maintained the highest standard in construction techniques. The complex shape of Bitexco Financial Tower required the experience of a world-renowned structural engineering firm, LERA, who is responsible for designing the foundations of the Shanghai World Financial Tower. This has instilled confidence in the construction of Bitexco Financial Tower, and brought to life an icon of sheer inspiration and innovation. The Tower boasts an advanced Otis double-decker lift system with the state-of-the-art Compass Destination System from the USA, currently used in only the world’s highest profile buildings. Eagon from South Korea is responsible for the challenging and stunning ‘curtain wall of glass’ that elegantly drapes the Tower. To ensure the timely completion of the project, it was crucial to create synergy between the complexity of many cultures, languages and various areas of expertise. An experienced project manager with an established history of undertaking projects of this magnitude was paramount. It was a clear choice for Bitexco to appoint American firm, Turner International, who successfully managed the construction of Burj Khalifa in Dubai, the world’s tallest building. From a small textile enterprise in Thai Binh Province in 1985, to a multi-industrial corporation 25 years later, Bitexco has achieved much success in real estate investment and development, hydro-power plant construction investment, infrastructure and road construction, financial investment, mining investment and mineral water manufacturing, amongst other businesses. Leveraging on its experience and expertise, Bitexco has developed various high profile projects in Hanoi and Ho Chi Minh City such as The Manor in Hanoi and Ho Chi Minh City, The Garden in Hanoi, Bitexco Office Building and J.W. Marriott Hanoi Hotel. 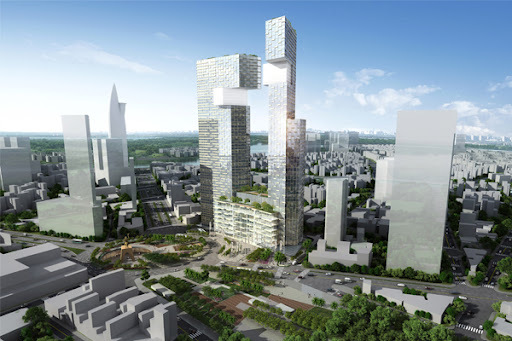 Other current large-scale developments underway include Nguyen Cu Trinh quadrangle complex, Ben Thanh Complex and the Hoang Mai Urban Complex. In the relentless pursuit of growth and prosperity, Bitexco has built its fame with Vietnam’s sustainable development and global integration. The key to success is the vision of its leaders, the reliability of its partners and the loyalty of its patrons. Bitexco’s aim is to become the top corporation of Vietnam and to create quality and state-of-the-art products and services, while exceeding the expectations of its customers. HCMC Branch: Bitexco Building – 19th Floor.